One of the widely used matrices for manufacturing high service-temperature composites are Bismaleimides (BMI). Due to its superior mechanical properties such as high temperature strength, it has been used widely in aerospace applications. In this research paper, the effects of cure and post-cure parameters on the mechanical property of Out-Of-Autoclave (OOA) fabricated composites were investigated by the aid of Design of Experiments (DOE) techniques. 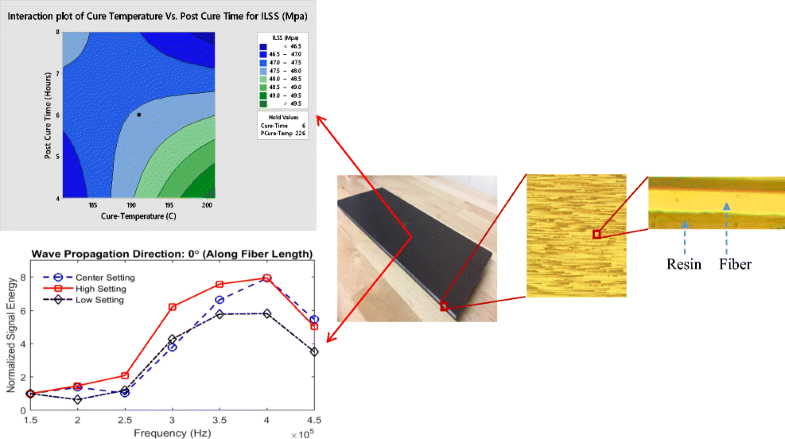 Short Beam Shear (SBS) test and ultrasonic guided waves were used to characterize the laminate properties under different curing settings. A mathematical model was developed relating the SBS strength to cure and post-cure conditions. Response Surface Methodology was unitized to achieve the optimized curing settings. The Ultrasound based non-destructive material characterization was employed to verify the effects of curing conditions on material strength. It was also concluded that the optimized mechanical strength depended on both curing and post-curing conditions and could not be optimized independently. The online version of this article ( https://doi.org/10.1007/s10443-018-9739-4) contains supplementary material, which is available to authorized users. This work was supported by California State University Long Beach, College of Engineering from 2015 to 2017. The authors would like to thank Tejas Patlapati Ravinarayana Reddy, Vihar Patel, and Yash Singh (from Instron Testing Laboratory) for their help and valuable feedback in composite manufacturing and testing. 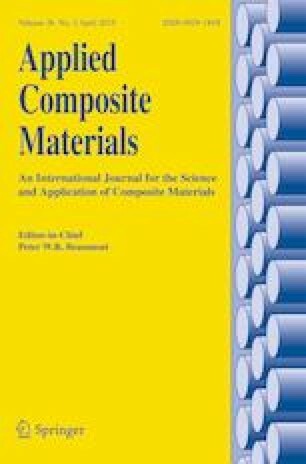 The authors wish to recognize the technical assistance and prior support of Northrop Grumman experts, most notably Doug Decker in the field of Composite Manufacturing at California State University Long Beach.